Our capoeira classes are open to all--whether you are just figuring how to pronounce ca-po-AY-ra or have been training for some time. We are located in some of the District’s most vibrant neighborhoods: Dupont Circle/U Street and Columbia Heights within walking distance of the Dupont Circle (Red line) and the U Street/Cardozo and Columbia Heights (Green line) metro stations. Free street parking is also available in the neighborhoods. In the summer Saturday classes are held in Dupont Circle Park. 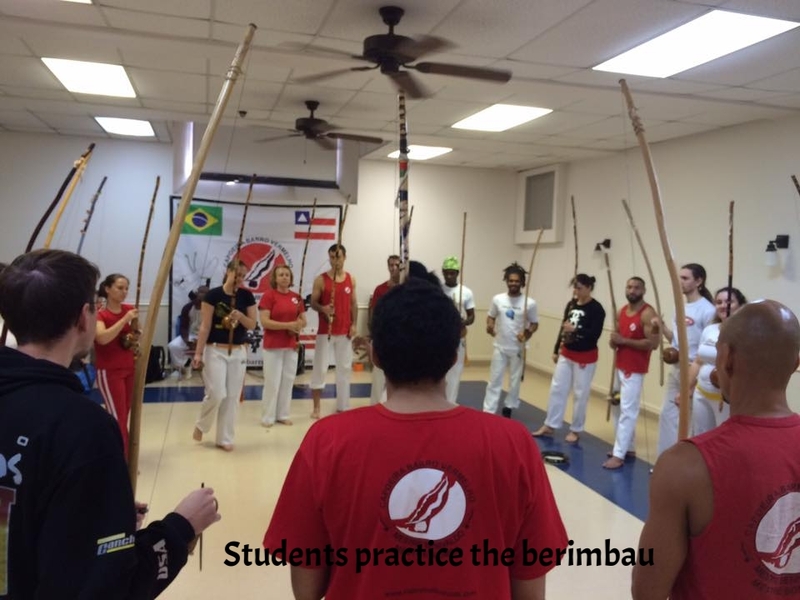 “Mestre Bomba is a great teacher who makes the classes fun and challenging at the same time!” - Meredith B.
Capoeira music lessons are incorporated into all of our classes. “Capoeira is so much more for me than movement--I love the music as well as the movement! I love the culture.” - Simone M.